Users were not happy when developers of WhatsApp got rid of the old status message and introduced something new. The Android Beta version 2.17.83 is bringing back the same status message but this time it comes with a new name. The ability to add a picture and a message to leave it as your permanent status was easy. There were a lot of people who simply would leave it as “I am using WhatsApp” and it never was a hindrance. However, the newest version of the app wants users to constantly create new status messages every day. The one you post will automatically be deleted in 24 hours just like Snapchat and it pretty much tries to be a social networking website. Users were totally unhappy because they clearly defined in all reviews that WhatsApp is not a social networking platform but a messaging app that shouldn’t demand their constant attention. Trying to be like Facebook had hurt the app a bit as it has millions of users around the globe and is equally popular on both iOS, Android platforms. 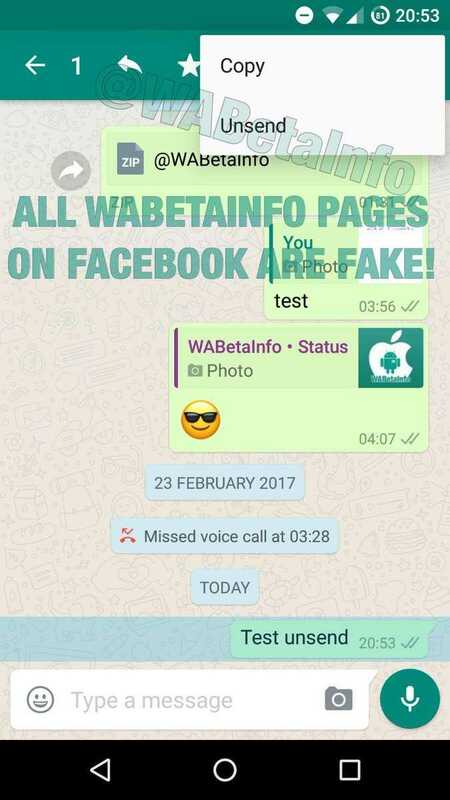 The WhatsApp Android beta 2.17.83 has been spotted with the old status feature. It is now being called as Info on Android while it could be known as Tagline on iOS. The feature is hidden at the moment and you won’t be able to activate it on your phone until the developers make the announcement. They are not only bringing the old status message back but will also add more privacy options to the app similar to the ones available in the new status message. 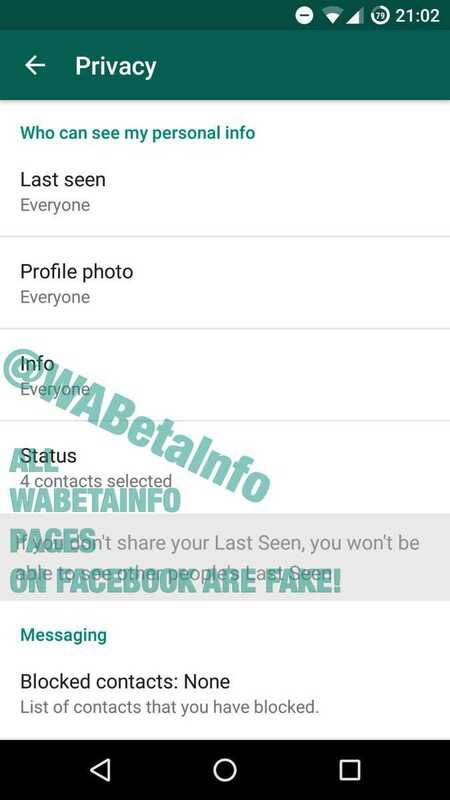 When it gets launched, you will have the ability to choose the contacts who can see your info (old status), block specific people from viewing it or allow everyone to see those messages, photos or text. The suggestions for these changes were provided by different users in their latest reviews for WhatsApp. While many of them were negative, expressing their discontent over launching the new status some reviews were constructive that should have helped the developers make a decision. They may add more options to it on iOS and Android platforms, especially basic features such as making WhatsApp work on iPad finally. The Revoke option in WhatsApp Android 2.17.83 has now been renamed as Unsend. More new additions are expected to be available before the official version of the app is rolled out with changes that users have been asking for.